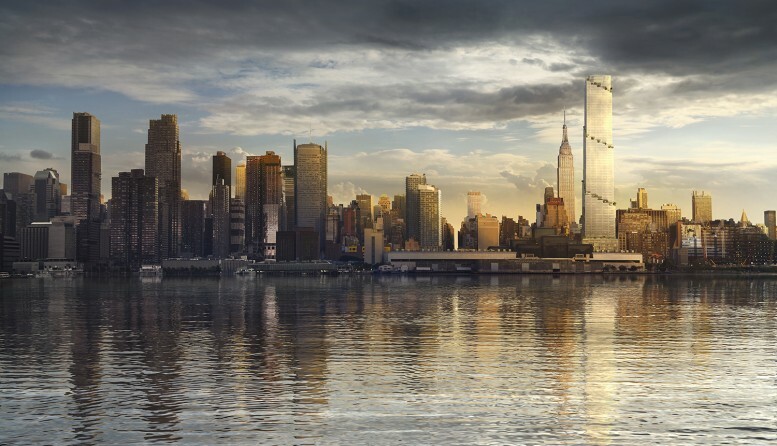 Daylight rendering of the skyline featuring 66 Hudson Boulevard. Credit: BIG/Tishman Speyer. 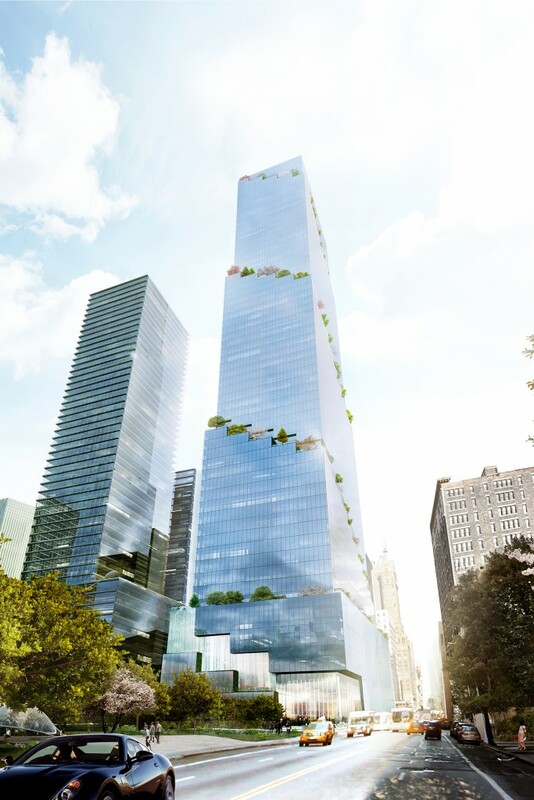 Tishman Speyer originally paid $438 million for the site, and is expected to spend $3.2 billion on the tower. The supertall office building will yield 2.8 million square feet. 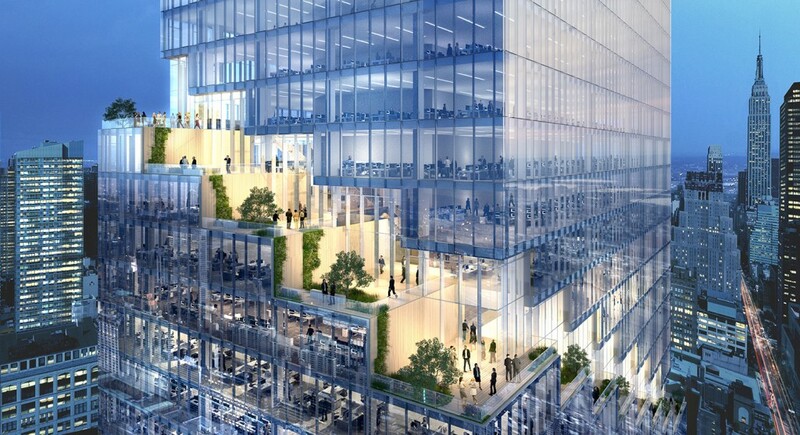 Its anchor tenant, Pfizer, will occupy 18 floors. Rendering of 66 Hudson Boulevard. Credit: BIG/Tishman Speyer. The site is right beside Hudson Yards, which has reactivated Midtown West with the largest development project in American history. Along with the Related Company’s $25 billion mega-development, construction is moving forward for Manhattan West and 50 Hudson Boulevard. Aerial rendering showing 66 Hudson Boulevard. Credit: BIG/Tishman Speyer. Permits were filed for The Spiral site in 2015. Approval was recently granted, in February of 2018, and completion is projected for 2022. 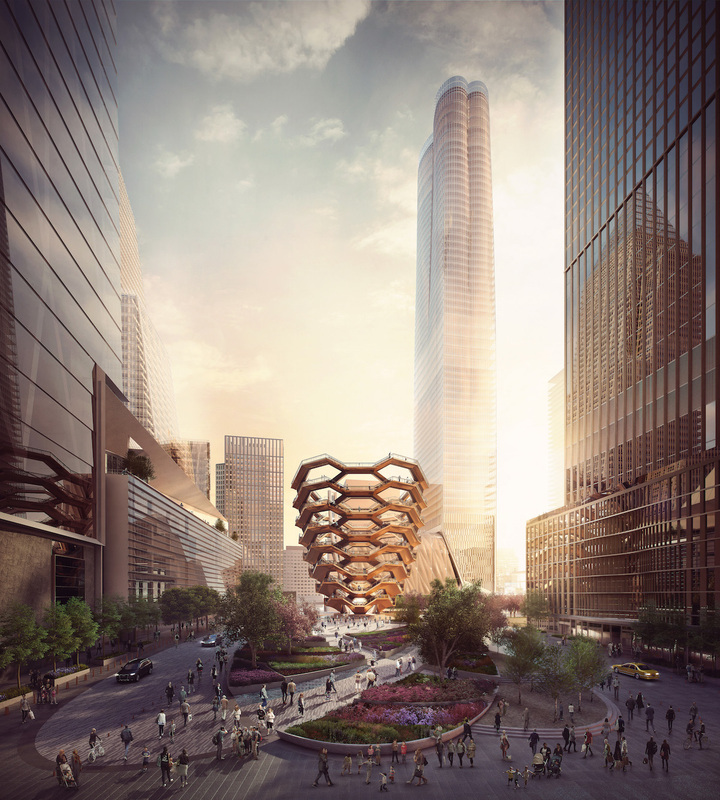 13 Comments on "Tishman Speyer’s BIG Supertall Spiral Officially Breaks Ground, Hudson Yards"
Is this the site where the Hudson Spire was marketed? Is the aim of this ziggurat to climb up to Heaven and confront God? Please clarify. Hopefully not the god of Jeff Jim Crow Sessions, who claims the twittering & traitorous Trump presidency was ordained by god and therefore can do no wrong, as it snatches toddlers from their mother seeking asylum at the border while it cozies up to dictators across the globe. Also ❤️ this spot on comment! The first rendering shows the Spiral in splendid isolation. The reality is much different, isn’t it? No doubt the first rendering is not meant to deceive. What self-respecting real estate developer would ever do that? So perfectly captures everything and expresses so much that’s so true about our city’s real estate (robber) barrons and life for the rest of us ordinary folks who live and work “in our fair city” 😉 – spot on! 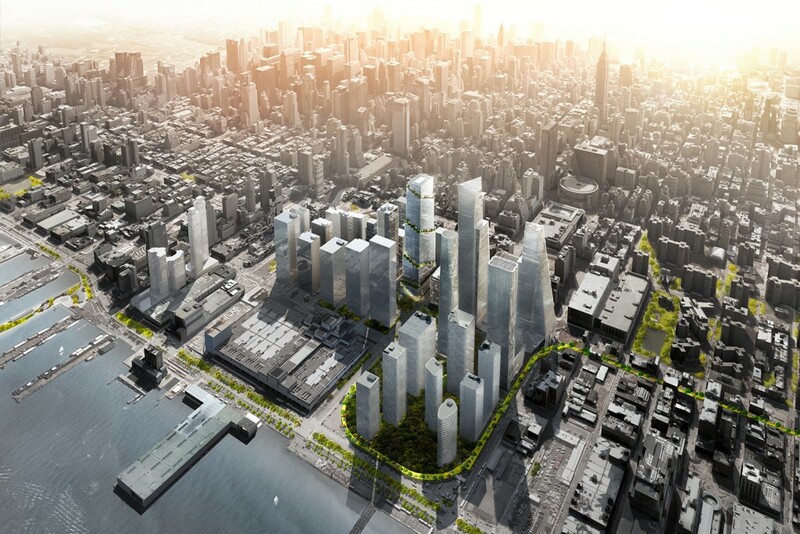 Here’s hoping that the building itself looks much better than the renders do (as is happening with 35 Hudson Yards!) 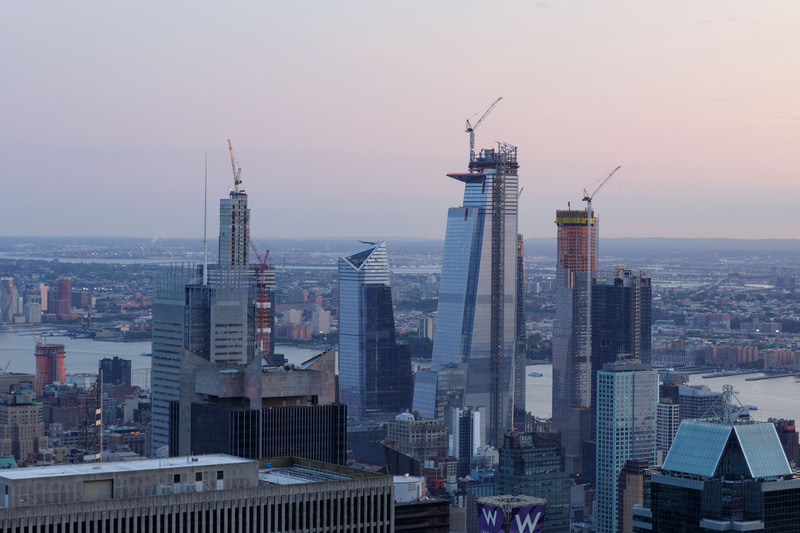 as the last thing this emerging vast wasteland (so far except for 35, the Vessel, Shed and Highline Park) of exceptionally disappointing architecture needs (with 30 Hudson Yards already the Fugliest supertall in the world…) is yet another Fugly supertall. Our skline is as much a representation of our aspirations and creativity, as it is a testament to art, beauty, technological innovation/prowess and commerce. And when compared to world class citiies around the world, be they in so-called post-industrial nations or in countries seeking to stake their claim on the world’s stage, the buildings rising in NYC now and in recent years are falling DESPERATELY SHORT of what’s seen being built elsewhere. For example, where’s our 21st Century versions of Grand Central Terminal, the Woolworth Building, the Williamsburg Bank Building, the Chrysler Building, the Empire State Building, Rockefeller Center or the Twin Towers, just to name a few architectural gems and iconic buildings that (except perhaps for the Williamsburg Bank Building) were instantly recognized by people around the world as our city’s unique, and until recently, unmatched signature skyline? Howard Miller, I totally share your sentiments. What I find beyond comprehension are critics of Robert A. M. Stern’s work. Were it not for his towers, NYC’s skyline(s) would truly be insipid box walls of glass. The real reason I was writing this is the deceptive initial image presented. It shows this building standing on its own, as if Hudson Yards did not even exist. The fact is, this building does not exist today, but a large portion of Hudson Yards does. To show it with the Empire State Building in the back as the only tall building is a JOKE! Manhattan West is also topping out. All of these buildings are clearly in the frame of this. It is a stupid parlor trick to make the building look more impressive and it is insulting to the readers. Shame on you for doing that. It is a good building on its merits. Don’t screw that up by making am image that is literally impossible to ever exist.